The CBD industry is booming with new companies and products arriving into existence daily. While there are many sufficient products out there, there are also many scams attempting to rip off consumers. With the CBD industry still in the vanilla age, there aren’t any regulations that control the manufacturing process. This can make it overwhelming for a person who is new to CBD. We have constructed a list of what to look for when buying CBD. Cannabidiol (CBD) is a chemical compound, known as a cannabinoid. It is extracted from the Cannabis Sativa plant. Although CBD is present in marijuana, it is most commonly extracted from agricultural hemp. This helps to provide all the benefits of cannabis without the user becoming high. It is important to be able to differentiate between low-quality CBD vs. high-quality CBD products. Using a low-quality product will not offer the effects a person might expect, and it also could potentially contain harmful toxins. Here are some concepts to be mindful of when shopping for CBD to avoid these risks. In order to have maximum effect, the CBD source must be high-quality. This is especially important when it comes to CBD oil as hemp tends to absorb anything that is present in the ground that it is cultivated and farmed. If a hemp plant grows in upscale soil, the resulting plant will be of a premium quality that can produce CBD oil in the equivalent level of quality as well. Our suggestion is to identify where the CBD brand sources their hemp from. If available, try to find products made with US grown hemp, as US farmers are required to get certified by state departments of agriculture. This information should be present on the retailer’s or manufacturer’s websites as well as through their support center. This is extremely important because different CBD brands utilize different extraction methods. Some processes are much more immaculate than others. Some businesses may use the cheaper methods when extracting CBD oil. These processes require toxic solvents that are dangerous to human health such as butane, propane, hexane, and pentane. All of these are hydrocarbon gases and are found in petroleum. Another way to extract CBD is using organic, pharmaceutical-grade ethanol. The ethanol removes unneeded toxins and residues from the base hemp plant. This process of extraction is normally considered to be the extraction method that generates the largest amount of cannabinoids compared to most other methods. It is one of the safest ways to extract CBD for human consumption. There is also CO2 extraction, which requires expensive equipment, complicated refinement processes, and production proficiency. This method works by using carbon dioxide under high pressure in an intensely cold environment. It assures that the CBD oil sustains its purity through the entire process. Lastly, there is cryoextraction. This is the newest existing method and most efficient yet. This method is utilized under an extremely cold environment. It allows for more selective cannabinoid extraction. The process uses special machines including dry ice setups. Before purchasing any CBD oil, look into the brand’s production methods. The information should be found on their website, or by contacting customer service. We recommend going after CBD processed through cryoextraction, ethanol, and/or CO2 extraction. These are the first two suggestions listed as being mindful of the production methods and extract source can be the difference between purchasing something effective vs. harmful/waste of money. A high-quality CBD brand will always provide third-party lab results to their consumers and should be accessible on their online stores. Many products will provide positive results, while others might fail these tests. These independent labs exist to assure that the product is everything it claims to be… with a high level of CBD, low THC and includes no contaminants that can be harmful to consumers. If a brand does not provide updated lab results, it would be wise not to buy products from them. When looking for premium CBD oil, it is always best to look for full-spectrum (whole plant) CBD extract. Using the whole plant, rather than using only one part, secures that the extract contains not just CBD, but also the full range of primary and secondary compounds of the hemp plant. These include terpenes, flavonoids, and other cannabinoids that are primarily thought to work synergistically with CBD, making the benefits exponentially higher than CBD alone (CBD isolate). CBD isolate is still very effective by itself, however. It still provides all of its own set of benefits when used. Not every person will have access to full spectrum products according to their state laws. Some products target particular ailment symptoms and will include supporting ingredients to help alleviate those targeted symptoms. An example of this can be a product targeting anxiety. It may also include ingredients such as ashwagandha or lavender, which also aids in providing a calming effect to reduce anxiety. Brands who use organic, non-GMO ingredients ensure that their ingredients are clean from contaminants that could harm a person’s health. 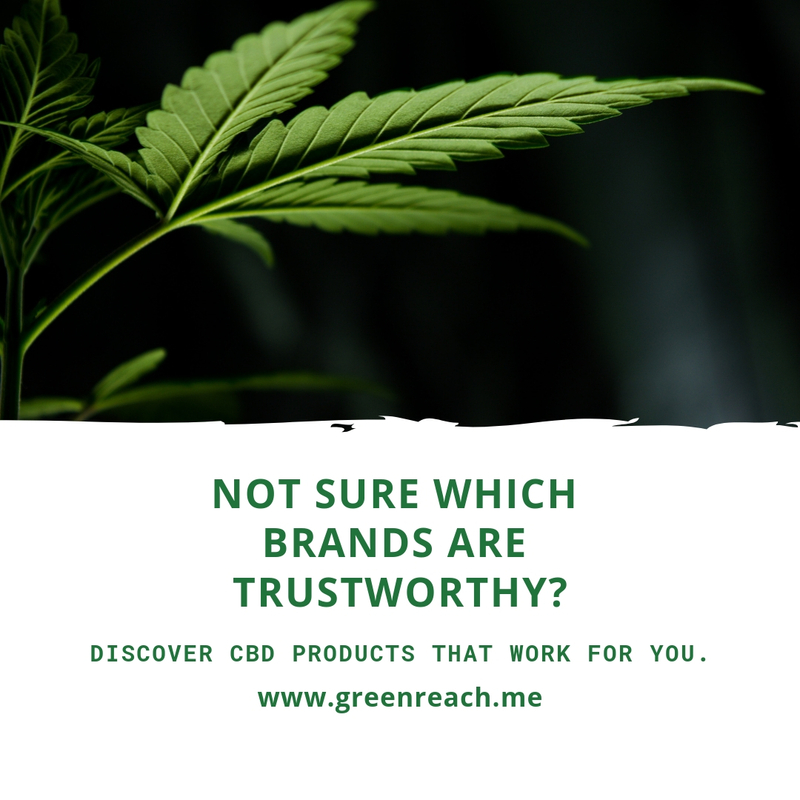 Need a shortcut to find reliable CBD brands? Check out our Vetted List!